It’s been really awesome getting back into 3D printing, and I also moved into a new house! Sadly, we had no shoe rack, so I made one! Hey all! 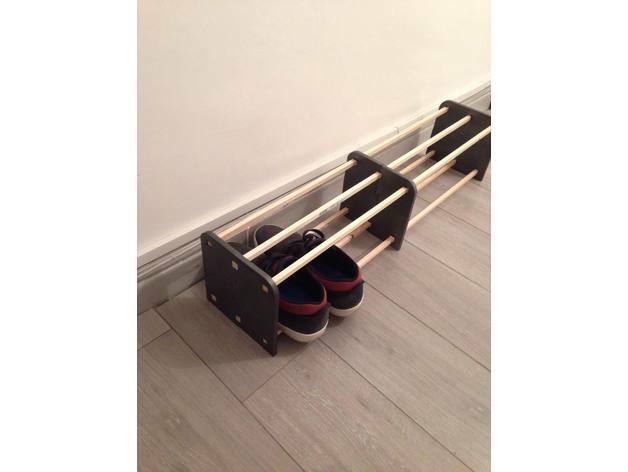 I designed this shoe rack with some 10.5mm x 10.5mm x 900mm wood poles that I got from the local B&Q. Not all the pieces were perfect hence why there is the "filler" which filled in the remaining gaps.